But real talk: you can’t tell me Ford isn’t constantly making terrible science puns like literally every scientist I’ve ever met. 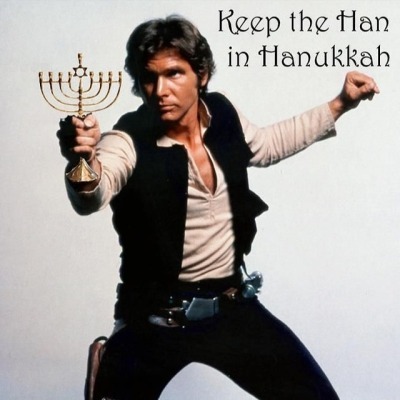 What do you call Han Solo making a Venn diagram? Comparison Ford. 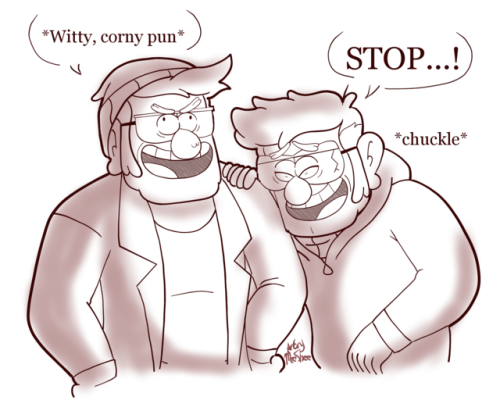 Stan starts calling Ford “Soup” while they’re out at sea. At first Ford thinks he’s mis-hearing Stan, but he is consistently being called ‘Soup’. 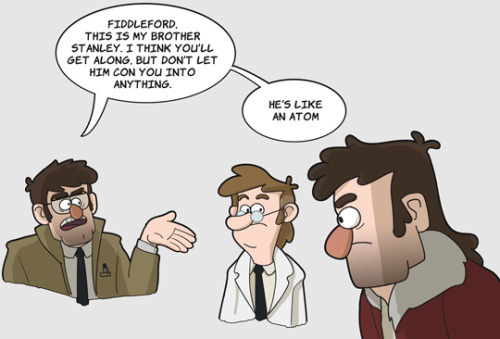 Ford starts worrying it’s a memory relapse with nicknames, and one day decides to gently confront Stan about it, in case it brought up any lost memories yet. “Stan,” he started, hesitating to ask what’s been most on his mind for the last couple weeks. 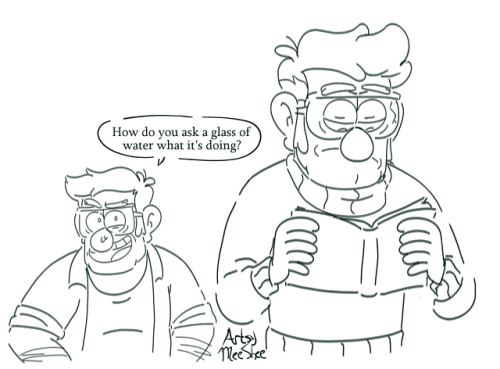 Ford was not expecting Stan to be aware of it. He leaned in closer as he asked, “Why have you been calling me Soup? Are you confusing it for a former nickname or–” Ford was cut off as Stan put a hand over his mouth to curb the spew of words flying from Ford’s mouth. He briefly considered licking the fingers but instead just slapped the hand away, closing his mouth so Stan could answer. 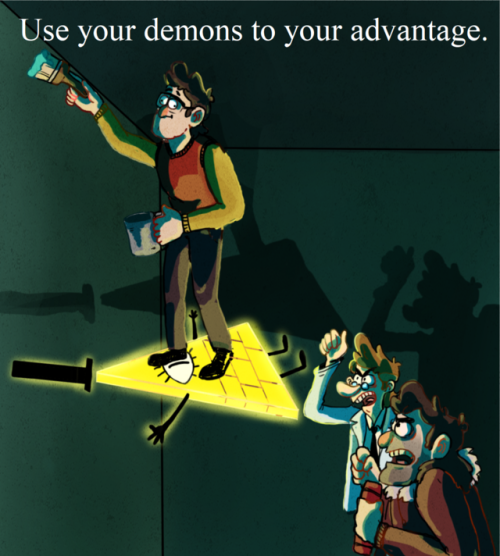 Stan leaned back, howling with laughter. Ford scowled. All the worry and uncertainty over the last two weeks was just the set up for another of Stanley’s ridiculous puns. Stan looked a bit confused at that and asked why, wiping a few mirthful tears from his eyes. And Stan yelps, jumping up and running away from Ford, all around the boat, until the two finally dissolve into laughter after slipping on the deck. 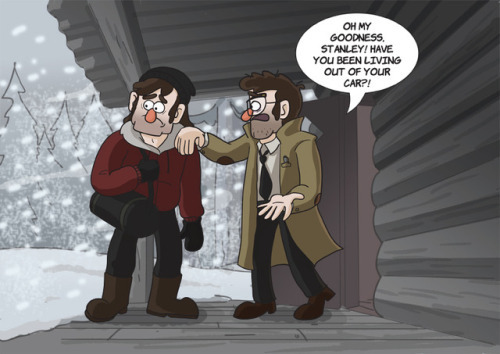 Yes, Stan had worried him with the strange nickname business, but at the end of the day, they were still brothers, and they were finally living their dreams. 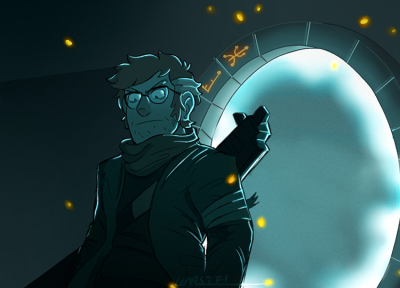 Ford rolled his eyes, passing the weapon over. They never said they were perfect. 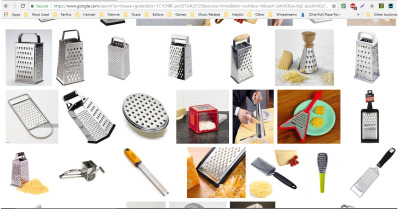 So, while shopping online for cheese graters…. 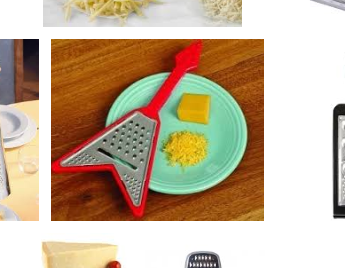 Lol…shredded cheese….BUT WAIT WHAT A MISSED MARKETING OPPORTUNITY! 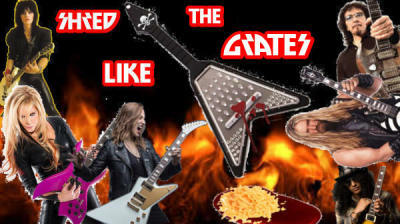 Hi, my name is Tabby, hire me for your advertisement team. 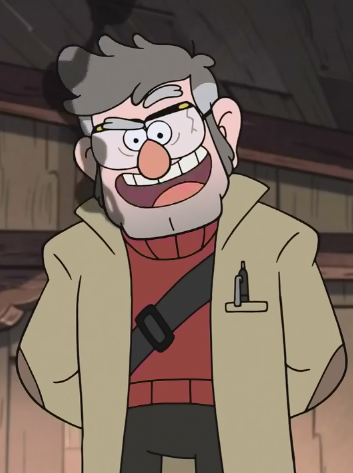 No one can make Ford laugh as much as Stan can. so here’s the owl darling!!!! More to come!!! 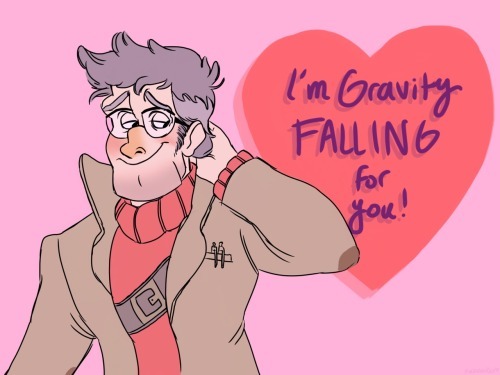 Gravity fallsGFgf fanartGravity falls fanarttumblr valentinesValentine's dayValentine's day cardsvalenPINES DAYALEX MADE THAT PUN AND I loV E ITTTTTstanford pinesford pinesthe authorabi's artsies!!! Leia: Do you know how beautiful our wedding was Ben? Ben: (Rolls eyes) How beautiful was it? Han: (Cuts Leia off) I got this one sweetheart…Our wedding was so beautiful….Even the cake was in tiers! 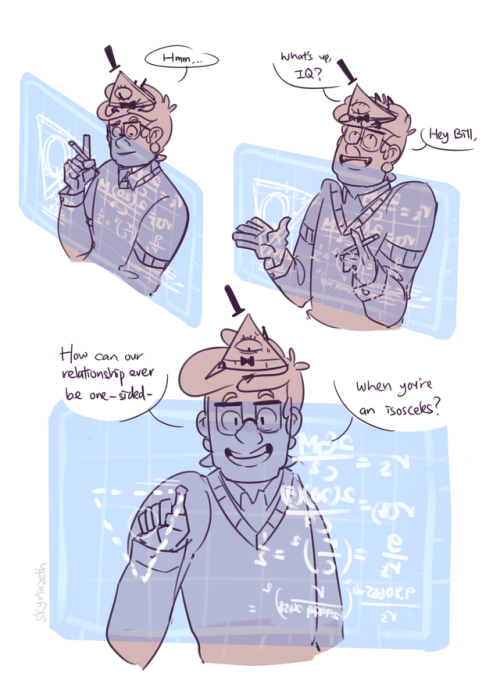 What do you get when you mix Ford and Fiddleford and a dinosaur? 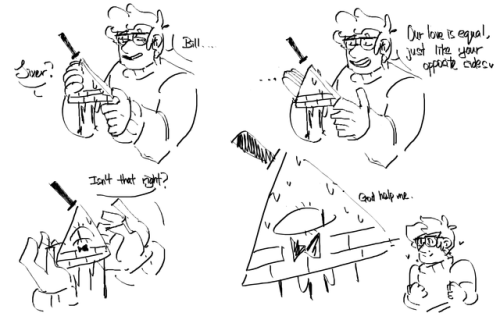 Ford: I put the STAN in STrANge. 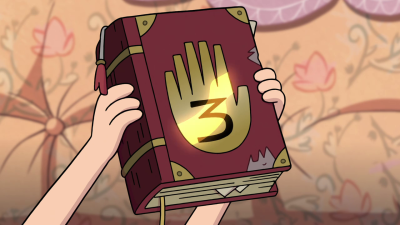 Stan: I thought you put the Doctor in Strange? Have you come to steal my eyes?!?!?!?!? Because they’re only for you.